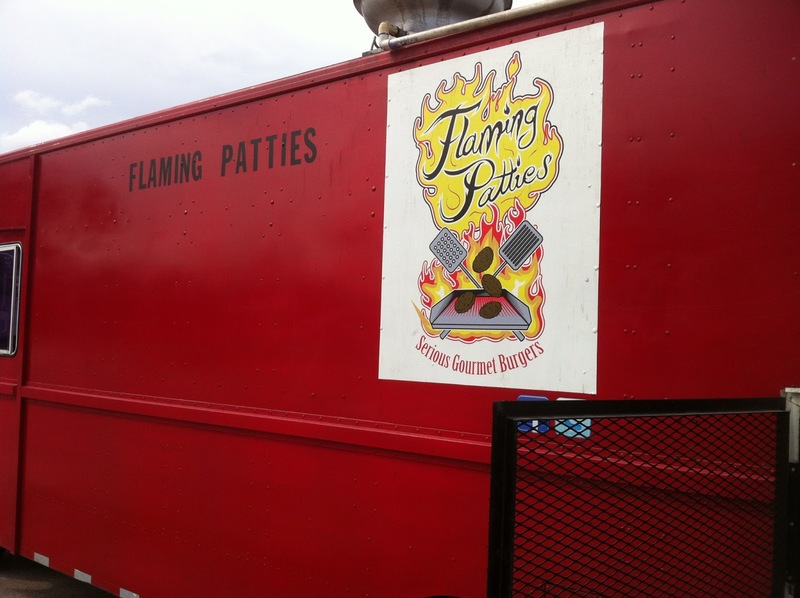 I have to confess, I've had the burgers from Flaming Patties several times, every burger has been great. For some reason the reviews never happened (there might have been beer involved). 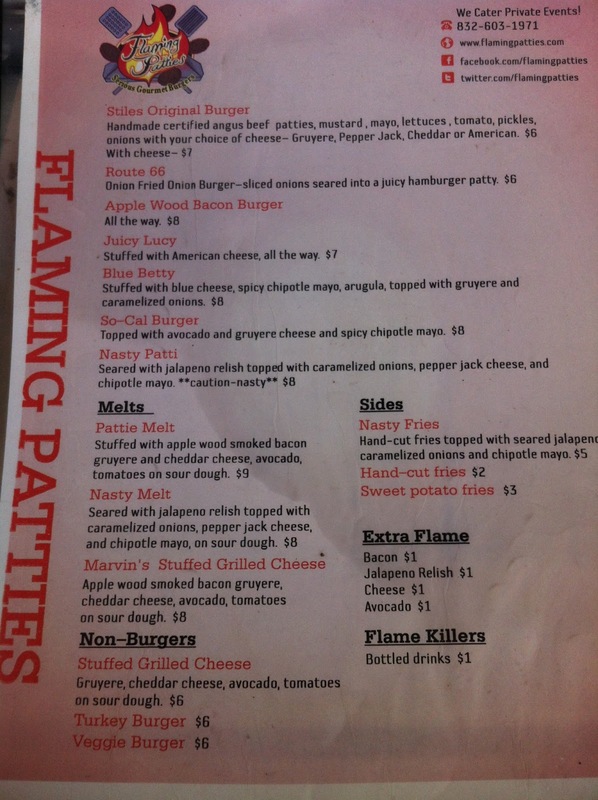 I'm making that right today. A big grilled cheese grilled in butter. 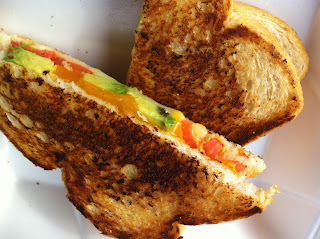 Bacon, Gruyere and Cheddar cheese, avocado and tomatoes. Avocado works really well in a grilled cheese and who doesn't like bacon? The bread got a really nice crisp on it and the cheese was melted completely. Synopsis: a delicious and well done grilled cheese. A huge serving of hand cut fries (comes with two forks). The fries were fried nice and crisp and held up well to the toppings. 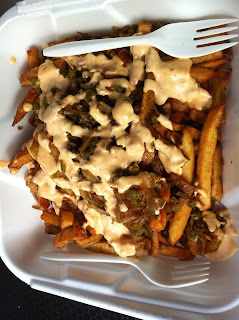 The seared jalapenos and caramelized onions where hot, but taken with the fries weren't too hot to handle. The chipotle mayo was a nice creamy smoky accent. Synopsis: big boy fries for a big appetite.